Let’s take a look at the first chapter in the Book of Hebrews. Unlike other epistles, Hebrews does not start with a greeting and salutation. This leads one to question who is the author of the book. In just a short amount of research of my own, what I found is that no one really knows 100% for sure. There are some signs that it COULD have been Paul, based on similarities between some of the verses in Hebrews and in the known letters of Paul. However, the differences in the style of writing between this letter and the known letters of Paul are significant enough to bring into question if someone else was involved. According to Zondervan Academic, it very well could have been a close associate of Paul’s. Just the first paragraph alone has a lot to say here. God has always been there, and through much of history, spoke through many prophets. That all changed when he sent his Son. He no longer spoke through prophets, but spoke through Jesus. This Jesus has also always been there, and all of creation came into being through HIM as well as the father. Jesus is an exact replica of God himself, but in human form. But because he IS God, he is equally as knowing and powerful. And following his sacrifice at the cross for our sins, Jesus was placed in the seat of honor in heaven next to the Father. The rest of this first chapter elaborates more on the exact status of Jesus in the world and universe. And that status is equal to that of the Father, which is above all else in their great creation. What is the moral here? I think it is that, where once in ancient Jewish (and eventually Christian) history, it was ONLY God the FATHER and all else was below Him. But, in reality, there was more to God than just as the father. And that more includes Jesus, who is equally as omniscient and omnipresent as God himself. And that power is what wipes away our sins and reconciles us to God. We serve an amazing God. To Him be the glory. Isaiah 36: By the worlds standards the king of Assyria, Sennacherib, is a mighty conqueror. He has overthrown many nations as he has approached Jerusalem. Now at the doorstep of Jerusalem he taunts the representatives sent by Jerusalem toHe not only represents himself as mighty and powerful, but continues by ridiculing Jehovah, as being unable to stop him. Thus putting himself above the LORD GOD of Israel. I find in this passage a very common ploy used by satan in temptations. He asks if truly do I think God could be interested in me, in the situation, or difficulty I am facing. The challenge then takes a turn to blaming God for getting me into this mess in the first place, if He cared for me He wouldn’t have allowed this trouble to come. Then he wants me to follow him, or give up praying, or submit, or admit what a failure I am or something else destructive and demeaning. It is the same lies used on Eve in the garden, did He really say, do you believe Him, you won’t die. In these situations we must believe the Word of God, we must cry out to Him for help, we must remember the change that He has brought to us and others. Psalms 105. 1-22: Brings to the forefront what our response to temptation should be. “Sing praise to the LORD, tell others what he has done. Sing praises to Him. Speak of His wonders. Seek the LORD and his strength Seek His face continually. Remember His wonders, HIs marvels, and His judgements.” When times get tough turn to the God who cares for you, Jehovah, the mighty creator, and sustainer of life. Philemon is a friend of Pauls who was led to Christ by the preaching of Paul. Onesimus was a runaway slave owned by Philemon, who ended up being led to the Lord by Paul in another city. Paul asks Philemon to receive Onesimus back, not as a slave but as a fellow believer, and brother in Christ. Paul writes this letter of compassion and brotherly love from a prison cell. Paul didn’t ask anything for himself but for his new brother in Christ. We often don’t see as God sees, but we see only three dimensions, God sees through the fourth dimension, the spiritual. Friends our God, Jehovah, cares deeply about all situations you find yourself in, from work, at home, on the road, in the yard, with your neighbors, at church, in politics, He has complete control. God won’t give up on you, so don’t you give up on God. He is very fond of you. Review: Paul tells Titus to tell his churches, probably on the island of Crete to lead Godly lives (3:1-11)…Have good relations with non-Christians (3:1-2)…The reason for the good works is we live by the Grace of God (3:3-8)…Be forewarned, heretics are among your numbers (3:9-11)…Final remarks and a benediction (3:12-15). Analysis: Gods people are to submit to government authority (3:1, cp. Rom. 13:1-7, 1 Tim. 2:1-2), avoid quarreling, and show common decency to those around them (3:2)…To be brief, Christians should be good citizens…This (3:3-7) amounts to a metamorphosis , moving from the temporal state of wretchedness to the eternal state of grace…Certainly, Paul hints at baptism (3:5-7) and the idea of it washing away the former sin-riddled existence…There’s little doubt we’re called to “good works” (3:8) because they are good…It seems a 3-step process exists for dealing with the malcontents…Step 1.) Avoid foolish talk with them (3:9, cp. 1 Tim. 1:3-7)…Step 2.) The Pastor should warn the problem person twice (3:10, cp. 2 Tim. 2:23-26)…Step 3.) The Pastor should then send them out (3:10)…Finally, Paul closes, again reminding about “good works’ (3:14). Isaiah 34 is a passage about Final Judgement, the Judgement of all the Nations. There will be a final account; evil, wickedness, and injustice will not go unpunished or unsettled. 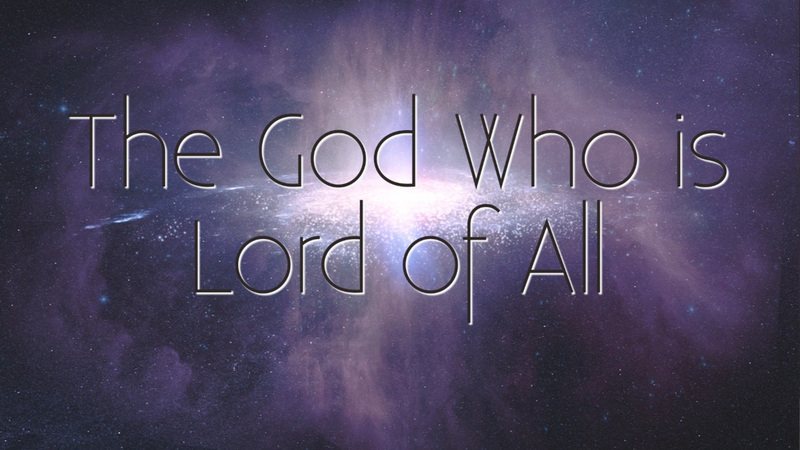 God will act for the Lord is God of all the nations. One day, “at the name of Jesus every knee should bow, in heaven and on earth and under the earth, and every tongue acknowledge that Jesus Christ is Lord, to the glory of God the Father” (Philippians 2:10-11). We “wait for the blessed hope,” the second coming of Christ Jesus. Psalm 104 encourages us to worship and celebrate God as the creator and Lord of all. Then in Titus 2:11-14 (NIV) we read about the core of the Gospel; the grace of God come to us in “our great God and Savior Jesus Christ. Our Savior, “gave himself for us to redeem us from all wickedness.” Jesus Christ creates “a people that are his own” his disciples who are the community, Christ’s church. When Jesus lives in us we are “eager to do good.” In this chapter all the followers of Jesus, whether free or slave, male or female, young or old have a calling to live for Christ and to do the good, which God desires. Two passages come to mind this morning….Isaiah 6:1-8 and Revelation 4:1-8. The only 2 occurrences where “Holy, Holy, Holy” appear. The word “holy” appears nearly 700 times depending on translation but only twice is it trebled. 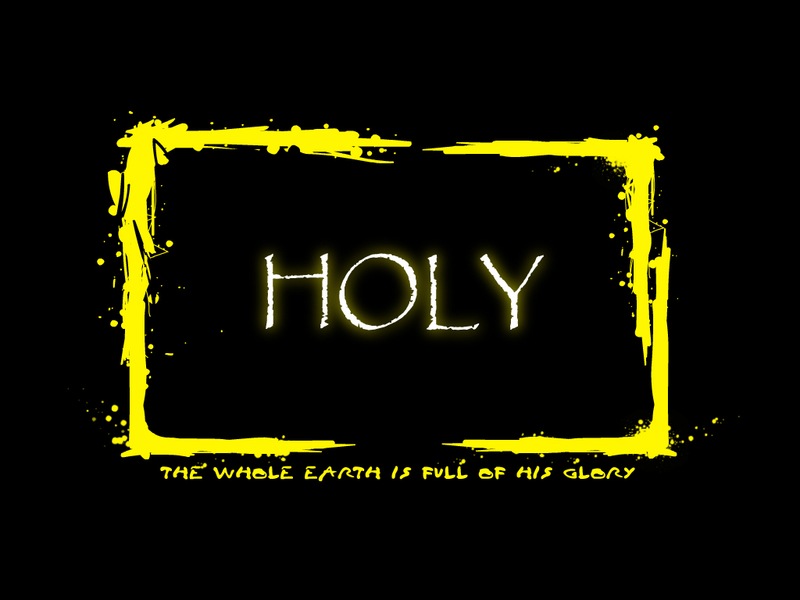 In Isaiah, the seraphs, whose number is not given, were proclaiming that the LORD Almighty is holy. The threefold repetition of the word holy suggests supreme or complete holiness. And in Revelation we saw another vision of worship in heaven with the same proclamation. Many who read the blog will be headed to church today or you worship. A question stands out, “will you “see” God’s holiness?”. Holiness is something for each of us to discover in the God we worship. Daily frustrations and pressures at home, school or work can narrow our view of God. The Bible presents God as high and lifted up…ready to help us with the stuff that life presents. So, ask yourself today…everyday, will you proclaim God’s holiness? Do you see and know that Jesus is God’s holiness revealed to humanity? 8/27 Isaiah 34 Psalm 104 Titus 2 Craig H.
8/28 Isaiah 35 Song of Solomon 3:6-11 Titus 3 Craig R.
While I love the messages of Isaiah and Song of Solomon, the message of Titus 1 seems to be more compelling this day. As I get ready to head off with Tari to our first ever Renaissance Fair in Bristol, Wisconsin, I think about what Paul brings to us today. Paul makes clear a foundation of faith and then a basis in truth. A faith and truth that is founded as Paul claims based in being a “slave to Christ”. When you read what Paul writes, you have to know that there is a foundational grounding in Jesus. Paul make clear to us an understanding of what it means for people to live godly lives. The question I think that is in front of us today is this: what is it about life that is meaningful for you? What do you think you are called to live out regarding God’s vision for your life? Are you absolutely grounded in God’s love for you and the direction he has for your life? Have you listened to what his purpose for your life might be? More importantly…are you ready…willing…and able to follow as God may be leading you? Have you thought about what it means to you to be a slave to Jesus? What do you know to be truth? If you are so compelled…I would love to know how you find yourself grounded in Jesus…so might others. Blessings this day in Jesus!! While reading today’s passages I could not stop the feeling of the hope–sheer, longing, and overwhelming hope. Isaiah’s prophecy shares a dark forewarning about what happens to the wicked, but the joy that comes from following the Lord is so great (Look at Isaiah 32: 16-18 specifically). These are promises of the Bible. Promises of peace. Then while reading Psalm 103: 13 I was reminded of something Pastor Francis Chan says in Crazy Love, “My own love and desire for my kids’ love is so strong that it opened my eyes to how much God desires and loves us…I came to understand that my desire for my children is only a faint echo of God’s great love for me and for every person He made” (Chan 57). Chan goes on to quote Matthew 7:11. Perhaps you’re like me and childless. I’ll tell you what, I still love. I love the kids I work with, I love my pets, I love my siblings, and I am sure there are friends or people in your life that you love as well that you can relate this too. So bottom line here? If you, a flawed human can love someone so much that sometimes your heart wants to burst when you think about them, then imagine how much a perfect God who is “compassionate and gracious, slow to anger, abounding in love” loves you. Lastly we come to 2 Timothy 4:17. Pop quiz. True or False, I have a tattoo of this on my foot scripture. True! Don Barnes called this a speck of dirt on my foot once, however I actually 2 Timothy 4:17 tattooed right on my foot so whenever I need the reminder (I found myself looking down in fear or shame a lot a few years ago) I would be reminded “That the Lord stood with me and gave me strength so that I could proclaim the Gospel. I was saved from the lion’s mouth.” That’s not the NIV version (which is linked above), but that’s the one I memorized. So when I read it now I think back to Paul, I think back to the moment I decided on this tattoo, and I think about how the Lord is standing with me always. How can I not be filled with hope? I pray this morning you are filled with the same kind of awe and wonder. There is a righteous Kingdom waiting for you, God the Father loves you more than you can imagine, and He is always standing by your side–rescuing you from the lion’s mouth. After writing my last blog, I found myself thinking about that idea that the Lord reigns and how that affects me. I found myself circling back to trying to understand how is that concept present or not in my own life. As I walked through my hometown, I got to think about a time when I was a young believer, about that time when I discovered the love of God, and how the whole world seemed to follow a cosmic plan. I remembered the excitement I experienced at that time sharing the good news of the Gospel, truth be told the little that I knew about it, but nevertheless the joy of knowing forgiveness and seeing God as God. As I walked that memory lane, I was confronted with the reality that God has not changed, but my understanding of who God is has changed over time. It has evolved, it became more argumentative, full of pros and cons, sometimes jaded by the experience I accumulated along the way. But that has not changed the very fact that God is love, and God still loves me and loves his creation with the same love from the very beginning of the world. And today’s text just came to solidify that in a powerful way. In part, because it speaks about God as the groom coming to meet his bride. And even more so it speaks about the excitement that springs from that expectation. I feel that maybe the church as a whole lost that perspective of loving God and experiencing God’s love. Maybe for a moment, we all should retreat back to a time when we discovered God’s grace when we were excited about sharing that with people around when the negativity of this world did not distract us from our hope in Christ. Today, I pray that you would remember that time of Grace, the first walk with the Lord, how you felt and how you responded to his love. And may that feeling give you a fresh and renew energy to stay strong on the path of faith, to give you new energy to serve and share who God is. Let God’s love give you new wings. As much as the human race tries to push God away, God will continue to be there. For those who do turn away from God, only destruction will be in their future. They will be “collapsed in an instant” so that “not a fragment can be found.” But there is hope for all because “the Lord longs to be gracious” to us. Those who fall away are always welcome back with open arms. Take into consideration the prodigal son. In reading this Psalm, I can’t help but think of the Simon and Garfunkel song “Bridge Over Troubled Water.” When we are down and out, troubled, feeling small, etc., God is there, like a bridge over troubled water. Those who are called to Christ must not get too concerned about what people think who are not Christ followers. There will be many who will try to lead us astray. 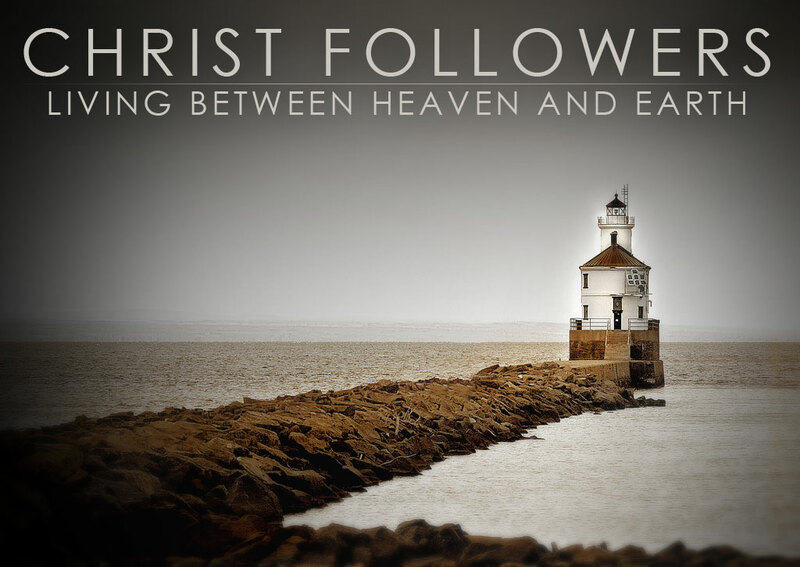 The ways of the world continue to tug at us and lure us in, but we have to stay true to the path that leads to Christ. Following the ungodly is like an army regiment following the orders of civilians rather than following the orders of their superior officer. The ungodly will only lead to destruction, but following the Commanding Officer will lead to life beyond this earth. We need to rely on God. There will be struggles in life. There will be those who try to bring us away from a life of righteousness. The glitz and glitter of everyday life can entice us and carry us far from God. But not matter how far we might get away from God, He is still always there, waiting for our return. He wants to be in a relationship with us. Follow the true Commanding Officer, and the outcome will be so much greater than following the ways of the world.